Called the “Musical Ambassador to Children,” the “Bonnie Raitt of Children’s Music,” and the “Pied Piper of Louisiana Music Traditions,” Johnette Downing is internationally known for her Louisiana roots music performances and catchy original songs. 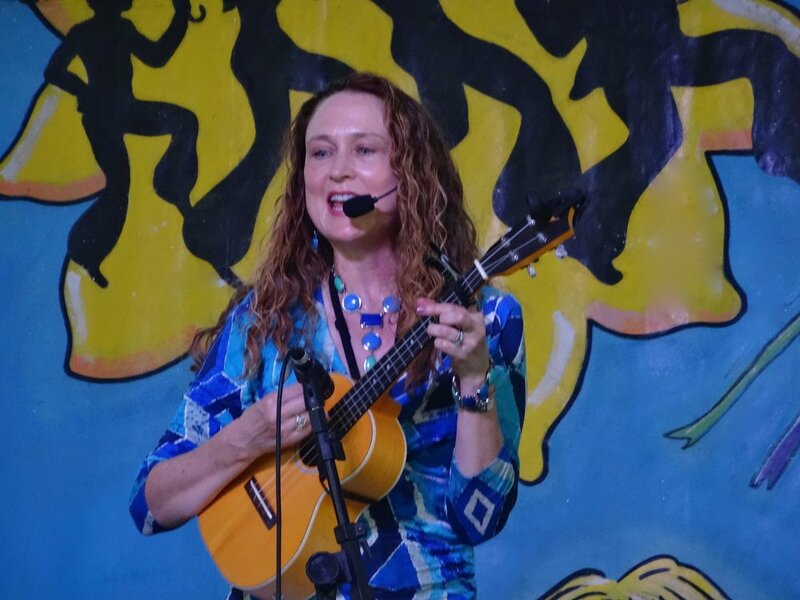 With Cajun, Creole, blues, jazz, Afro-Caribbean and zydeco influences, this New Orleans native serves up a gumbo of toe-tapping, two-stepping tunes, stirred with a passion for sharing her rich culture with children, and offering plenty of opportunities to sing and dance along. School and library assembly audience size limited to 300 students per concert. Discounts given for two concerts (same day/same location). Performing Arts Center and Festival sizes vary depending upon venue. School and library assembly audience size is limited to 300 students per concert. Discounts given for two author visits (same day/same location). An early childhood music educator, keynote speaker, and presenter with twenty-eight years of international experience, Johnette Downing offers educator workshops of her classroom-tested techniques and activities for using music in the language classroom as a teaching tool. By applying her concepts, learning becomes memorable, purposeful and culturally meaningful. Through easy language skills-based songs and musical games, children find they are able to grasp and apply the concepts with ease. Drawing on students’ innate aptitude for integrating music and language, Johnette helps make teaching language a song and a dance. Ideal size is 30-40 educators.